Recycling is a process which allows us to turn waste materials into something that is useful again. There are numerous products that can be recycled, though we often look at paper, glass, tin, and plastics as the top materials to recycle. Wood, steel, aluminum, and other metals can be recycled in various ways as well. For recycling to be effective, these materials must be collected separately for the efforts to be successful. One cannot recycle glass with cardboard products, for example, or tin with plastics. If you are interested in recycling, look for the recycling symbol, consisting of three arrows formed into a triangle, on qualifying products. Many communities have active recycling programs as well. Here are the major advantages and disadvantages of recycling to consider. 1. It is a profitable activity when it is organized. Most recycling activities in the developed world involve curbside programs or home pickup systems. 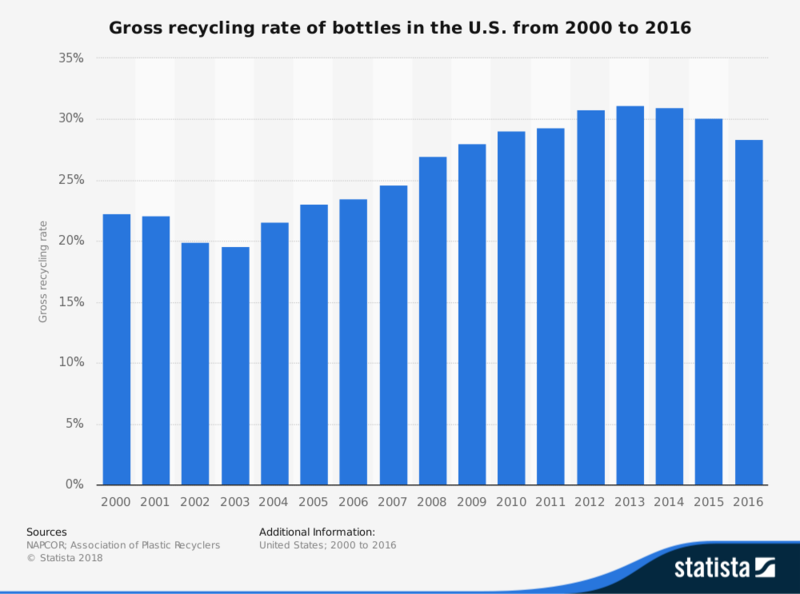 In the United States, nearly $100 in revenues can be generated per collected bin each year when the recycling program is followed. That means consumers must separate their recyclable products at home before they are collected. To organize home separation, marketing materials, outreach programs, and separate recycling containers for pickup can reduce errors and increase product volume. 2. Recycling reduces the amount waste that goes into landfills. In the developed world, the average person will generate between 2-4 pounds of waste every day. That means a family of 4 would send about 5,000 pounds of waste to a local landfill if a recycling program is not present. On average, in the United States, the average person recycles 1.5 pounds of waste daily. That means, for that same family of 4, almost 2,000 pounds of waste can be redirected away from the landfill. 3. It reduces community pollution levels. Recycling programs save energy. The effort of recycling one aluminum can, for example, is the equivalent of the amount of energy the average person consumes at home in a 3-hour period. That means we are saving fuel with every recycling effort. Less fuel burned means fewer emissions enter out atmosphere, creating cleaner communities with fresher air. 4. Recycling programs reduce localized soil contamination. Plastics are known to release a toxin called DEHA, or diethylhydroxylamine, when they break down under landfill conditions. DEHA is not released when plastics are frozen, heated, or reused, contrary to what some may claim. Some websites state that DEHA exposure is not detrimental to human health, but there are no human studies regarding this chemical. Animal research has shown that DEHA exposure increases the risk of liver cancer in mice, with female mice suffering a significant incidence. Recycling programs also reduce glass and metal contamination, sharps hazards, and issues with litter that can affect the quality of local soil. 5. It is a system that continues to be cheaper to implement. Recycling programs have become more efficient in the last 20 years thanks to numerous innovations throughout the industry. Programs that cost more than $10 million to implement just 10 years ago now cost less than $3 million to implement. Many communities can reach profitability with their recycling programs within 5 years. Large communities may be able to make back their investment in the first 12 months. In the coming years, more innovation will likely keep reducing costs and improving profits for those who participate in recycling. 6. Recycling reduces the consumption of new materials. For every 2,000 pounds of paper that are created through recycling, about 20 trees can be saved, 11 barrels of oil are not consumed, and 7,000 gallons of water are saved. At the same time, landfill reductions occur, and 60 pounds of carbon dioxide are prevented from entering the atmosphere. That means we can all do more with our existing resources, even if we’ve finished using them, just by participating in a recycling program. 7. It requires less energy to create products for reuse through recycling. There are billions of plastic bottles that are used every day. It requires nearly 80% less energy to create another bottle through recycling than it does to create one from virgin materials. Creating newsprint through recycling is over 40% more efficient than it is to create newsprint with virgin materials. Even creating new glass products through recycling takes more than 20% less energy that creating products with new resources. 8. Recycling can turn old products into completely different products. PET plastics can be shredded in recycling programs, then turned into carpets, rugs, and even clothing. We can take the plastic waste that is in our oceans right now and turn it into usable products. Soda cans made from aluminum can be turned into a variety of new aluminum products. There is this misconception about recycling that everything must stay within a closed-loop system. That is just not true. Plastic bottles don’t have to stay plastic bottles forever. 9. It can include almost anything. Recycling programs can also include organic materials. Many landfills take organic waste, then turn it into compost that can be sold in local communities. Organic materials can also be used as biomass for power generation. Certain organic materials can even be turned into biofuels instead of allowing to rot. A family of 4 generates about 4,000 pounds of organic waste every year that has the potential to be recycled. 10. Recycling gives us a chance to save our planet. One of the biggest contributors to waste in today’s world is the United States. The country has about 5% of the world’s population, generating more than 40% of the world’s trash that ends up in a landfill. The act of recycling is a learning opportunity. It is also a chance to save our planet. By helping people find local recycling programs, encouraging participation, and developing separation technologies that work post-collection, it is easier than ever before to get involved with this type of program. 11. It saves our groundwater supplies. It only takes 1 quart of a toxic substance to contaminate up to 2 million gallons of groundwater. By recycling our used motor oil, household chemicals, and other liquid contaminants, we are able to maintain safe water sources for our communities. At the same time, those potential contaminants, once they have been recycled, are able to be used again to meet the needs of our modern lifestyle. 12. Recycling makes people feel good. Although recycling does require a time investment, it is an action that makes people feel good. You know that you’re making a difference when you sort your recyclables out from your general trash. Even if full sorting must take place, the effort is something that is worthwhile and helps the community. Most people will invest into a local recycling program if they see the good things it is able to accomplish. 1. It can be difficult to comply with some recycling programs. The recycling industry is moving toward an automated system of collection and separation. Many people assume that their local recycling program uses an automated separation system without checking to see what is actually being used. That information may not be readily available either. That means program compliance can be limited in some communities, especially if separation is still required. 2. Recycling takes time to do right. Home-based recycling involves more work than many families may realize. Products that are contaminated with food are not acceptable in most recycling programs. That means canned food tins, milk jugs, pizza boxes, and soda bottles may not comply with program needs, even though people think they are sorting products as instructed. That is why extensive information and marketing programs are necessary for most curbside recycling programs to be successful. 3. It is not always possible to recycle everything that could be recycled. Most recycling programs that are operated in communities today accepted only two types of plastics: #1 and #2. Other plastics may have the recycling symbol on them, though it won’t be accepted because the program lacks the capability of processing those items. That means we still generate a lot of trash that is destined to a landfill, even though those products could be recycled. Expanding recycling capabilities for more communities is the only way to solve this issue. 4. Recycling generates more trash than people realize. For many homes, a majority of the items that are sent through the recycling collection still end up in the local landfill. Contaminated recyclables cannot be used. If a collection pickup point has a large container of aluminum cans and one bag of shredded paper dumped into it, the whole lot has the potential to be rejected. Sorting programs have improved dramatically over the last decade, yet some improvements can still be made. We must be able to distinguish between good recycling practices and good intentions to maximize the effectiveness of modern programs still. 5. It is a concept that is based more off of profits than it being the right thing to do. Recycling programs tend to increase in popularity when a lot of money can be made from it. When the prices for recyclable items goes down, the number of active programs reduces as well. Pricing for specific items, such as aluminum cans, is usually consistent. It is the mixed recyclables pricing that is quite volatile. Pricing can swing by more than $100 per unit over the course of 12 months. 6. Recycling requires an investment from everyone to be effective. A recycling program does not get started unless a community is willing to make a capital investment in the first place. Households must invest themselves in the time it takes to sort recyclables from the trash. Some families need to sort each type of recyclable into specific containers. The cost to start a small recycling program can be as high as $30,000 in the first month that it is operational. Ongoing costs can be just as high per month. Even the Environmental Protection Agency recommends that communities find investment backers to offset the costs in the first days of a program. 7. It is a program that, more often than not, will not make a profit. Let’s say that the cost of adding one ton of materials to the local landfill is $32. The average cost of a recycling program in the United States hovers around $35 per ton of materials recycled. In this scenario, it would actually cost the community $3 per ton more to recycle than it would be to add the items to the landfill with the average price of recyclables. There are recycling programs that do make money consistently. When the price of recyclables is down below $50 per ton, however, the costs to a community can be very high. 8. Recycling programs can create tons of litter in neighborhoods. Many communities have upgraded their recycling trucks to be automated collectors. The driver pulls up curbside, extends a collection arm, and then lifts the container so it empties into the truck. The only problem with this automation is that it can generate a lot of litter. Even if just one piece of recycling is missed by a truck per home, a community of 30,000 people could see about 1 ton of litter hit their streets over the course of a week. If that litter is not picked up, the benefits of recycling are quickly negated. 9. It creates an environment with toxic exposures. Recycling may be a better career option than others for harmful substance exposure, but it is not free from all toxicity. Workers in recycling facilities are exposed to more potential viruses and bacteria, which creates more frequent and stronger reactions from their immune systems over time. According to the National Institutes of Health, the environment of a recycling center for germ exposure is similar to the environment of a family practitioner. 10. Recycling programs can release particulates into the atmosphere. Organic recycling programs often involve burning leftover materials to create energy. The act of burning organic matter releases particulates into the atmosphere that can affect local air quality levels. The amount of ambient particulate pollution that comes from biomass burning has increased in communities with this resource by at least 12% since 1990. For that reason, composting programs should be the top priority of recyclers to limit air and soil contamination from organic products. 11. It can cause more pollution than it can save. The quality of a recycling program is what dictates how much waste and pollution can be filtered out of a local community. Some programs, including automated sorting programs, may require households to take their recycling to a specific point in their community. Some sorting programs may not accept glass products, for example, or may require corrugated cardboard to a collection point. It can be several miles for some households to reach that point, which reduces the effectiveness of the program. Driving to these collection point trades one form of pollution for another. 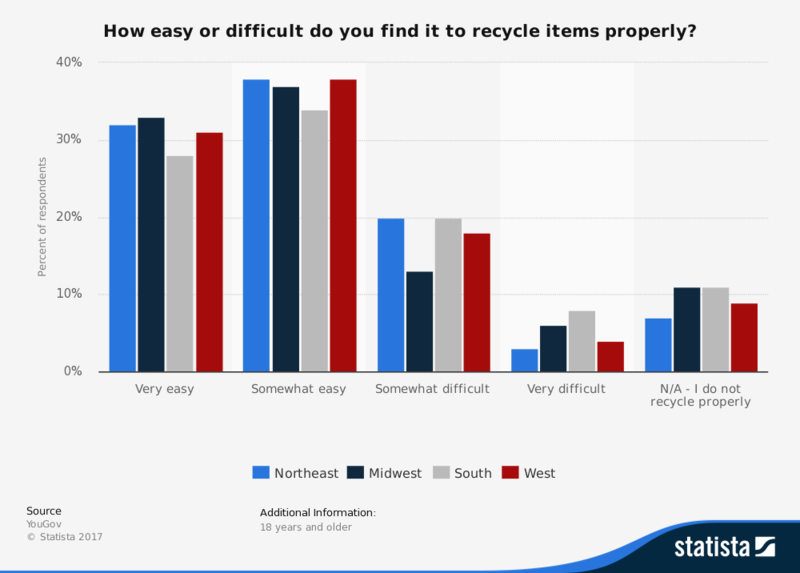 I recommend that you read these 8 recycling industry statistics that support some of these pros and cons. The major advantages and disadvantages of recycling show us that it can be an effective way to reduce local waste. We can reduce the number of items that are put into landfills. With curbside programs, it has never been easier in many communities to embrace recycling. On the other hand, recycling does take a commitment. Each person must do their part to ensure that their household is complying with local recycling rules and needs. If we each do our part, then we can all benefit from the act of recycling.